What if you could make your next flight smoother than ever? If you travel first-class frequently then you’re already accustomed to paying significantly more than standard airline rates, but you still have to wait in the long lines and board the same packed aircraft along with the rest of the traveling masses. Private flights, while more expensive than first-class airfare, circumvent almost every aspect of commercial air travel that is bothersome. Have you ever flown private? Keep reading to discover five reasons why you should make the switch! Part of what makes air travel so stressful is all of the crowds and traffic. This includes not only the large crowds of people actually inside the airport, but also cars traveling to the airport and then automobile traffic once you’re actually at the airport. Private air travel helps you avoid the traffic and crowds at regular commercial airports. A private flight allows you to fly out of smaller airports close to where you live instead of using the main commercial airports everyone else is using. And even if you must use a commercial hub, you are able to park and depart from a Fixed Base of Operations or FBO. FBOs are basically private airplane terminals. Typically, you are able to park your car directly at the FBO and you don’t have to make any long terminal walks or go through annoying security screenings, either. You probably understand that the old saying is true, “time is money.” And, a private flight helps you save a lot of time. This is because these flights can usually go directly to your destination. That means no layovers, plane changes, or delays caused by random passengers. Also, the plane departs on your schedule. There’s no waiting for last minute fellow passengers to arrive. Once you and your party are on the plane, it’s time to get on the runway. Commercial flights involve a lot of little inconveniences to you that add up in a big way. However, private flights are convenient in every way imaginable. For instance, you can still bring liquids onto a private flight, and you can bring pretty much whatever you need on the plane. Also, many private planes give you full access to all of your baggage while you’re in flight. And, many private charter operators allow pets to travel in the cabin with you. Private aircraft can also be far more spacious than commercial planes. 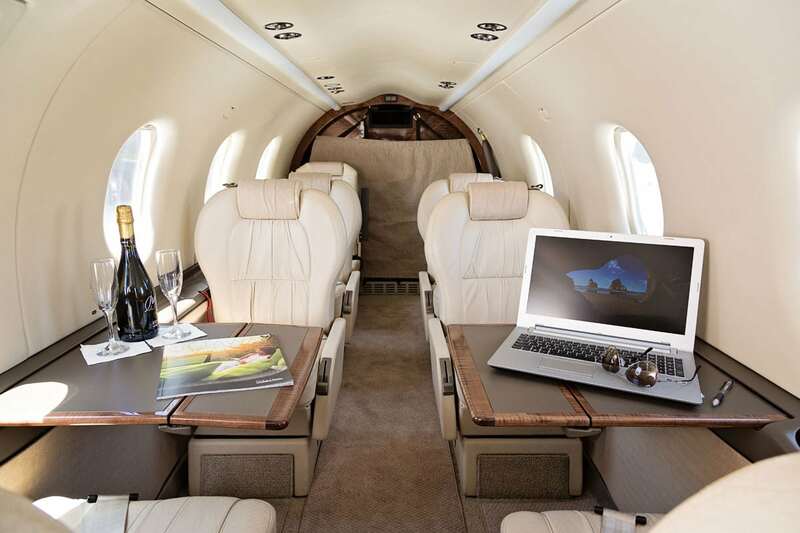 Depending on the plane you charter, there may be room to stretch out and relax – which is definitely not an option on most large commercial jets. At the end of the day, it’s simply more comfortable to fly without dealing with the annoying restrictions of commercial flights. While traveling for fun is great, chances are that you may travel a lot for business purposes or you may need to work while you’re en route to your next destination. Fortunately, a private flight is the most productive way to travel. Perhaps the most compelling reason some take private flights is for the privacy. This applies to you as well as to anyone else traveling with you. You’re less likely to be seen or approached by strangers when boarding a private flight. And no strangers onboard the aircraft means that you can speak freely about business and personal matters. And you never have to worry about the theft or loss of your private property, either. You want to fly in luxury and style but you don’t know where to start. That’s where we come in. At Tampa Bay Air Charters, our team provides the very best in comfortable and confidential air travel. To see how we can transform your flying experience, come get a quote from us today!